Today, more focus is being placed on the performance attributes of a given concrete product. 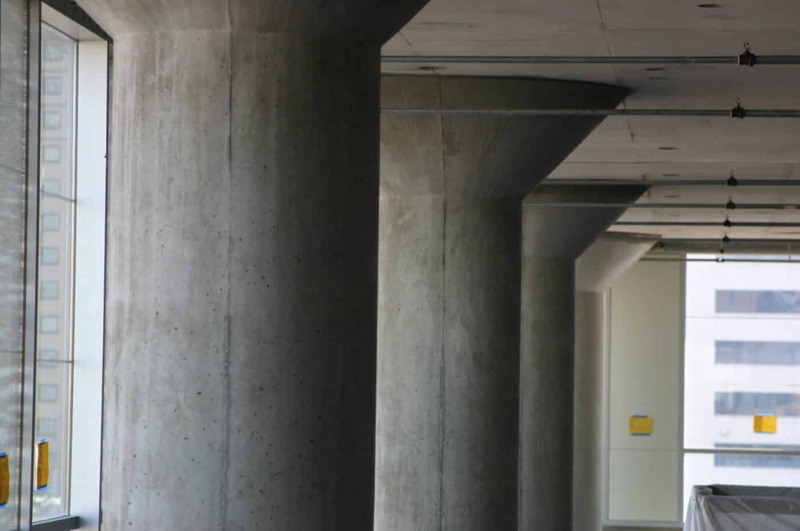 By discussing the intended outcome of a particular project with the owner, design professional and/or contractor, Cemstone can confidently engineer and produce a concrete that performs exactly in the manner it was intended. The industry calls this collaboration Prescription to Performance (P2P). Cemstone researches and develops the industry’s most innovative performance based concrete mixtures. Cemstone offers unmatched experience, expertise and technologies to provide you with the right mix for your needs. Cemstone’s performance-based products include everything from high-strength mix designs for commercial high rises, corrosion resistant mixes for parking structures and high-performance DURA-CRETE® brand, exclusively for exterior concrete including residential driveways. Agricultural operations are some of the most demanding working environments. Whether it’s barnyard paving, manure pits, grain bins or silo pads our AG-CRETE@ ready-mixed concrete is a proprietary mixture specifically designed for agricultural applications. Aridus® Rapid Drying Concrete is Cemstone’s proprietary concrete mix that reduces drying time and risks associated with excess moisture to enable faster, safer flooring installation. Aridus eliminates a major source of moisture-related flooring problems and increases the likelihood that installations will proceed on schedule without the need for costly topical moisture mitigation treatments. Concrete needs to meet flooring industry standards despite tight time frames and external factors. Since 1989, Cemstone’s DURA-CRETE® concrete has been manufactured using high-performing, quality ingredients. It is then installed by Certified Contractors following proven, time-tested guidelines of the American Concrete Institute and the Portland Cement Association’s Concrete Finishers’s Guide. DURA-CRETE assures you that your concrete surface will not develop surface defects resulting from inferior materials or workmanship. This includes the occurrence of excessive coarse aggregate popouts, scaling, spalling or delamination. DURA-CRETE concrete combines top quality materials, concrete technology and systematic installation procedures to yield a finished product that not only withstands the punishment of our extreme climate but also enhances the beauty and value of your property for years to come. Exclusive to Cemstone, self-leveling LIQUIDFILL is a Controlled Low-Strength Material (CLSM) consisting of cement, fly ash, sand and water that is used primarily as a backfill in place of compacted fill. This unique material is designed to self-level whether it’s truck dumped or placed with one of our concrete pumps. Since this material is engineered, Cemstone can tailor the mixture’s density depending upon what is required for the application. By altering the density, we can make LIQUIDFILL that is excavatable with a shovel or a back hoe. By using LIQUIDFILL labor costs are reduced and material density uncertainty is eliminated. Try LIQUIDFILL on your next backfilling project. RAPID PAVE™ is Cemstone’s proprietary ultra-high, early-strength product for rapid repair of concrete pavement and structures. RAPID PAVE™ is essential where time is a critical component of the project. “RAPID PAVE™ gains strength quickly and allows traffic or other loading to resume just hours after the concrete is placed. Whether it’s a city public works manager contemplating repairs to a main boulevard, or a highway engineer planning major freeway renovations, RAPID PAVE™ is an economical long-term solution,” says Lars Anderson, Cemstone’s QC/QA Manager of Engineering Services. The ASTM C666 returned durability is greater than 98%. RAPID PAVE™ is designed as a self-consolidating concrete for ease of placement. RAPID PAVE™ is air-entrained for durability and has a pore size distribution such that it is protective of the concrete when exposed to freezing and thawing in the saturated condition. In addition, RAPID PAVE™ is designed as a self-consolidating concrete for ease of placement. Contact your sales representative for more information when your project when the timeline for your project is hours instead of days. Using the principles of rheology (the branch of physics that deals with the deformation and flow of matter), Cemstone has created a family of Self-Consolidating Concrete (SCC) mixtures designed with performance in mind. From slab-on-grade construction and architectural elements to mass concrete and super structures for bridges, the uses of Cemstone’s family of SCC are endless. Since Cemstone’s SCC is a performance based material, its application needs to be evaluated so that the plastic attributes can be optimized without compromising the hardened properties. Contact your Cemstone representative for more information. The Cemstone Extreme Series “X-Series” performance concrete mixture designs contain materials and proportions that have a proven track record. The X-Series is streamlined to have one specific mix per application. We offer X-Series mixtures for footing, wall, interior and exterior flatwork applications. Cemstone has spent extensive time performing durability and customer workability testing to come up with the X-Series mixtures that will provide the best performance results for the application. Simply ask for the X-Series mixture that meets your project application. Ask your Cemstone Representative how these mixtures can be used on your next project.